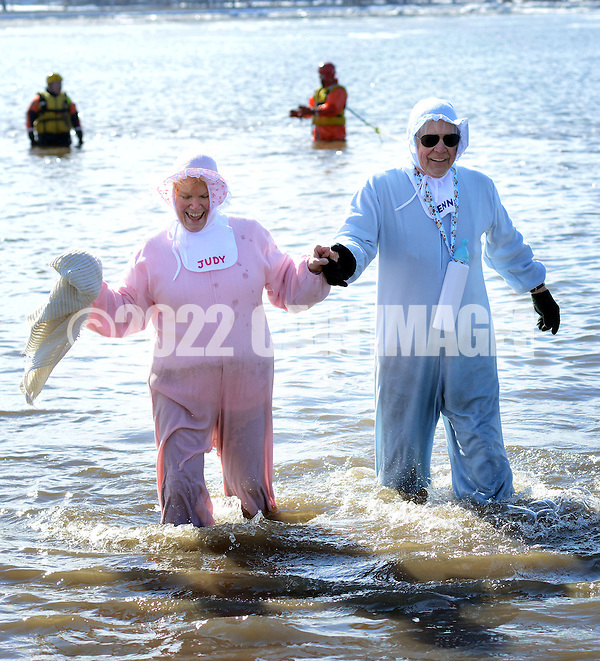 600 souls braved 32 degree water temperatures to plunge into the Delaware River and raise money for Special Olympics on Saturday at Neshaminy State Park in Bensalem. 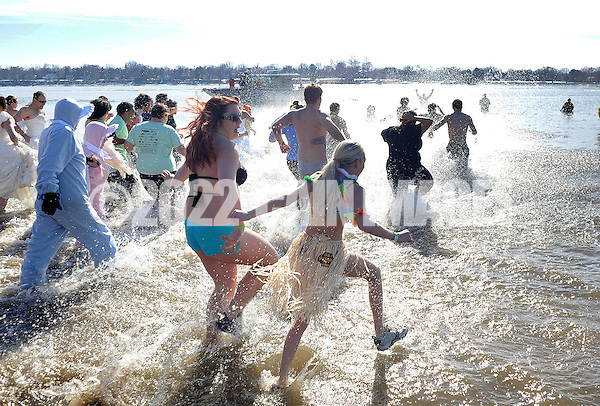 They helped raise $120,000 during Pennsylvania Special Olympics’ Eighth Annual Eastern Polar Bear Plunge. For $50 per person, a person could take a dip in the freezing river for a good cause. 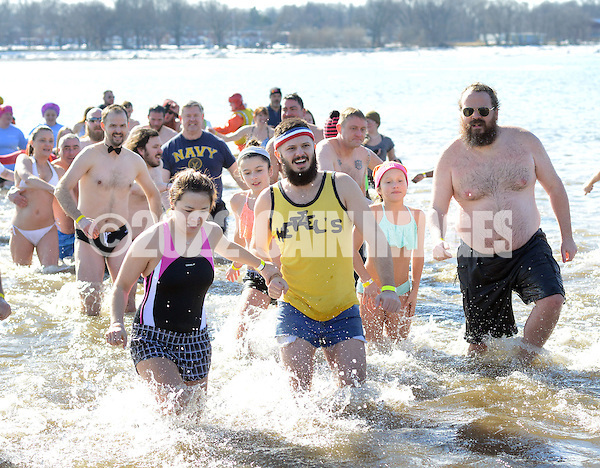 Participants waded and splashed their way out into the water and around a banana rescue boat while high-fiving officers as they exited the frigid water. 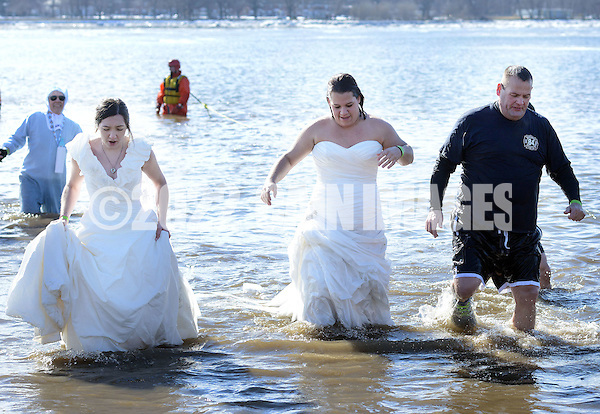 Members of trevose fire company wore white wedding gowns into the water. Hot chocolate and coffee was served by duke donuts, a sponsor of the event. for $50 per person, a person could take a dip in the freezing river fir a good cause. The US Army Field Band and Chorus performed Monday night at Bensalem High School with a free concert. The short amount of what I was able to see was pretty entertaining. The crowd seemed pleased. The band was flawless and the chorus even better.